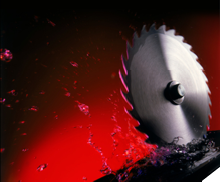 We supply and sharpen; HSS saw blades with varying diameters and tooth forms. We supply and sharpen Mag drill cutters. We supply new M42 Vary pitch band saw blades. If you have any particular requirements please let us know. We can mail order cutters, blades, and band saw blades anywhere in the country at a very competitive price, we only supply top quality tooling. Please contact us or fill in the enquiry section and we will deal with your requirements.